#MeToo continues to be in the news with a new revelation, seemingly on a daily basis, of a man being accused or admitting to sexual harassment behavior. Even a Nobel Prize is being compromised by a sexual scandal. Last month a panel of women gave us an overview of their opinions on what the movement is and where it is going. This month we are hosting a panel of men to add their perspectives on this timely issue. Toby Ten Eyck is an instructor in the Department of Sociology at Western Washington University. 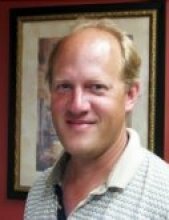 He received his PhD in Sociology from Louisiana State University in 1998, and was a faculty member at Michigan State University from 1999 to 2015. His research and teaching has covered topics as diverse as food safety, risk, and how we talk about art. He and his wife currently own the art gallery Wandering Oaks in downtown Bellingham. Rajeev D. Majumdar is an attorney and represents Congressional District #2 as a Governor on the WSBA’s Board of Governors. His practice is focused on serving as general counsel to business entities and their litigation needs in Whatcom County. He also serves as the prosecutor for the City of Blaine and as the special prosecutor for Bellingham’s Mental Health Diversion Court. As an adjunct professor at Western Washington University, he teaches Rights, Liberties and Justice in America. He previously worked for the National Nuclear Security Administration in Washington, D.C., helping to establish protocols of cooperation between the U.S. and other nations to ensure the containment of weapons of mass destruction technology. In 2015, he received the WSBA Local Hero Award for his work in improving public access to civil legal aid and advocating for the indigent. 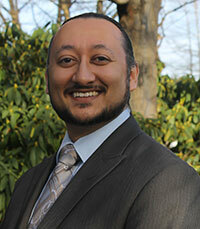 He currently serves on the boards of LAW Advocates, Northwest Youth Services, and Sun Community Services. 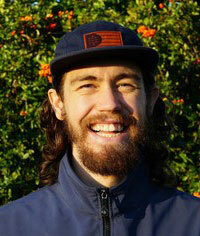 Ryan Roberts is a sustainability professional at Kulshan Services LLC in Bellingham WA. He received a Bachelors in Business and Sustainability and Minor of Entrepreneurship and Innovation from Western Washington University. Ryan works with people to visualize and manifest a more sustainable future for their organizations, their communities, and the planet. Prior to his position at Kulshan Services, Ryan worked for WWU as the Associated Students Club Business Director. At the university, Ryan was influenced by the diversity and inclusion training he received on campus and he actively engages in conversations with friends and family about privilege, and race and gender inequity. Ryan is an active member of Conscious Crew, a harm reduction non-profit, which creates safe spaces for people at festivals. Ryan believes that businesses have an opportunity to lean into leadership by building more just and sustainable workplaces.